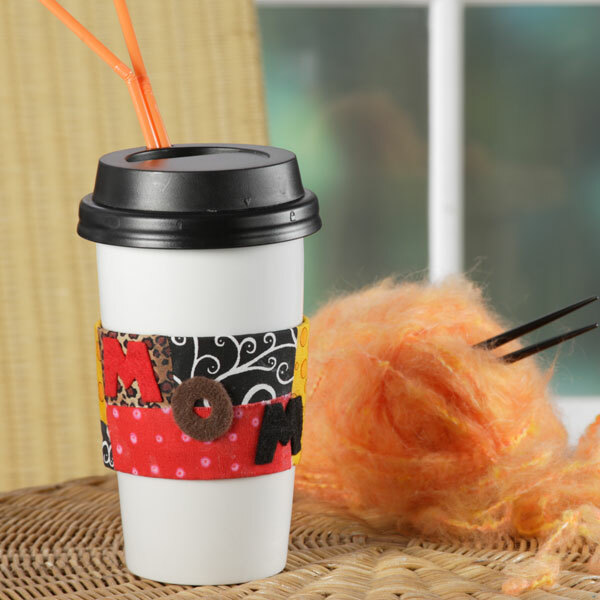 Grab your fabric scraps an felt for this adorable coffee cozy the you can say you made yourself! Instead of cutting out the word MOM, you could cut out a puppy or kitty, a monogram, flower, heart or anything you like to think about first thing in the morning. I even thought about gluing a little pocket on the side. The details are on iLoveToCreate.com and tons more projects for National Craft Month!